There’s nothing quite like the feeling of being about to win a video game and then having your opponent disconnect to deny your proper victory. It’s been going on in games for so long that we even have a special name for it: rage quitting. As humans, our emotions can get the better of us, but computers are supposed to be above all that. Apparently the Switch Monopoly AI didn’t get the memo. 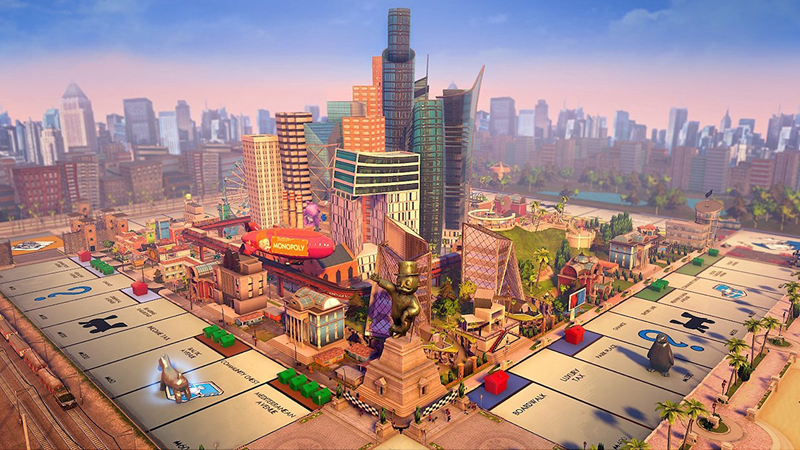 Monopoly for Nintendo Switch had its fair share of problems at launch, and although some of them were fixed, the game can still be quite wonky at parts. Nick suspects a bug has kept “David” stuck in an infinite loop. Nick almost lost the game earlier on, according to his post, but after spending a few turns in jail he managed to slowly rebuild his assets. “Finally I have enough power to replace houses with hotels and spread more houses to cheaper areas, he’s [David] destroyed,” writes Nick. “He mortgages everything except for those two pretty little blue spots he’s just hoping will get him back in the game... and then... He realizes the oldest trick for an AI in the book.” That Nick came so close to actually finishing a game of Monopoly, something only a select group of tortured souls on this Earth have done, only for the AI to break down makes it all the more tragic. It just reinforces the idea that the only way to win at Monopoly is to never play in the first place.